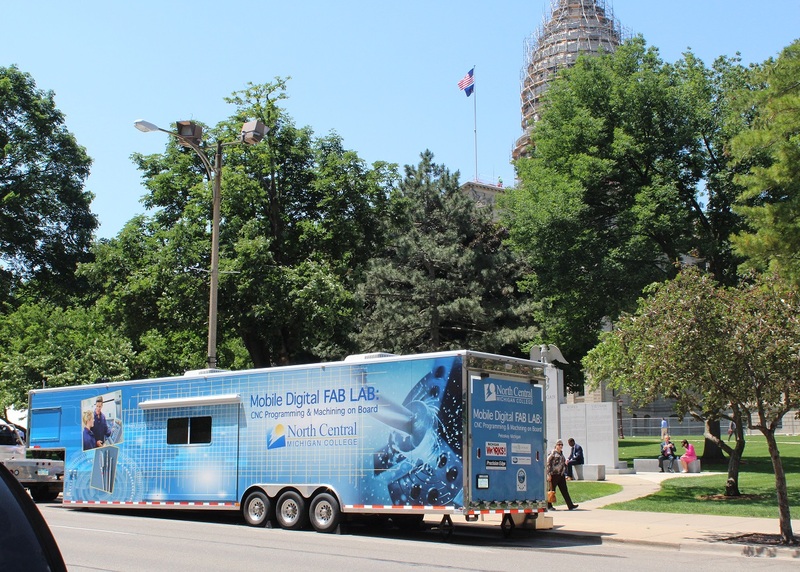 The Mobile Fab Lab in front of Michigan’s State Capitol in Lansing. Triune Specialty Trailers is proud to support STEM education not only in Michigan, but also across the country. Triune had the pleasure of hosting and attending two great events discussing STEM education programs. 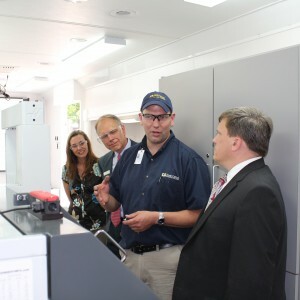 First, Triune had the honor of showing off one of our favorite trailers, the Mobile Fab Lab, at Michigan’s Capitol on June 10, 2015. The Fab Lab is a mobile classroom that provides CNC programming training and promotes awareness of high-tech manufacturing jobs. While at the State Capitol, Triune held a special demonstration and presentation for legislators and private/public stakeholders. (L-R) Shiloh Guarisco – Little Traverse Bay Bands of Odawa Indians, Tom Erhart – Northern Lakes Economic Alliance, Jeff Gardner – North Central Michigan College, and Michigan Senator, Wayne Schmidt. 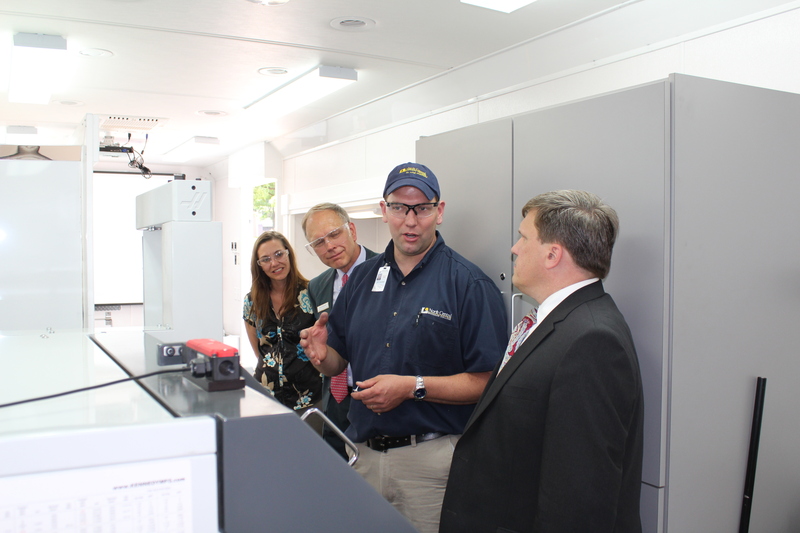 It was a successful visit that showcased the Fab Lab as an innovative mobile education solution. Second, Triune participated in a Congressional briefing on STEM education on October 1st, 2015 in Washington D.C. Triune and other members of the Mobile Laboratory Coalition joined with STEM professionals, educators and partners from across the country to promote STEM education and mobile learning labs. The Mobile Laboratory Coalition is a national partnership of science education programs whose common vision is to inspire an appreciation and knowledge of science and scientific inquiry. 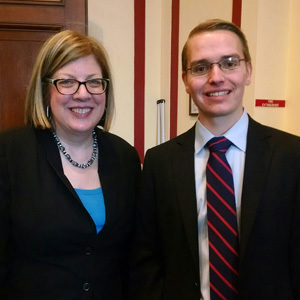 At the event, the Coalition shared strategies to engage the next-generation STEM workforce through the development and dissemination of traveling laboratories and education programs. The panel of esteemed speakers presented proven and effective STEM education programs that are successfully being used across the country to drive interest and academic success among students through a combination of inquiry-based learning and real-life exposure to STEM careers. It was a privilege to be part of both events and will continue to support STEM education programs.